Accommodation process (the ability of the eye to focus on close objects) has been widely studied. From a topographical point of view it is known that there is no change in the central corneal shape during the accommodation phase. However, little is known about how this process affects the entire anterior surface of the eye. Today it is possible to study the elevation of the whole anterior eye including cornea, corneo-scleral region and sclera. 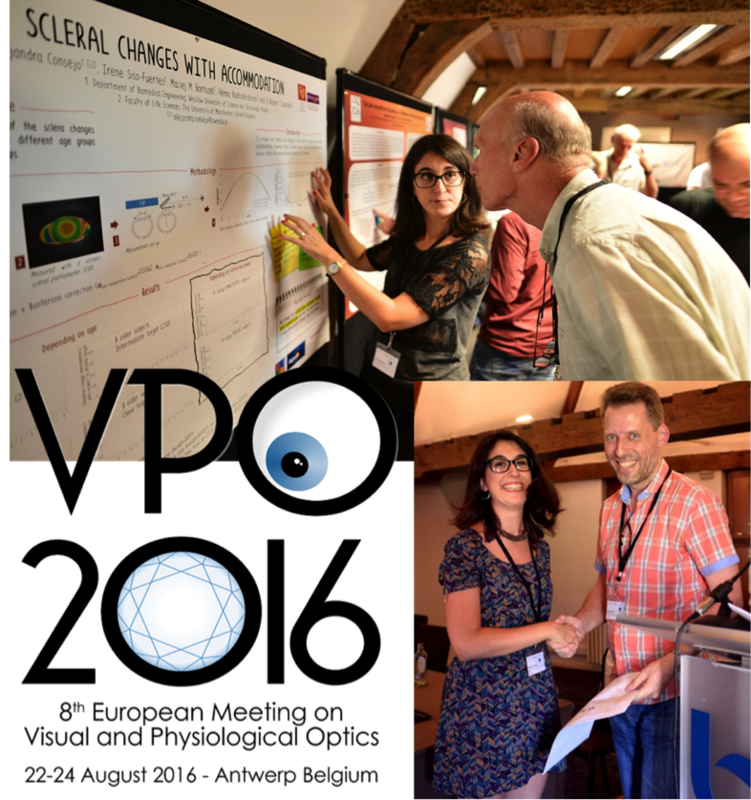 The work ‘Scleral changes with accommodation’, conducted in collaboration with The University of Manchester, was presented in the Visual and Physiological Optics (VPO) 2016 conference, held in Antwerp (Belgium). This study represents an analysis of how the shape of the anterior eye is affected by accommodation. We found that sclera undergoes changes during accommodation process and that this phenomenon is more pronounce in myopes than in emmetropes. This work was awarded with both the prize to the best student poster, sponsored by the Optical Society of America (OSA) and the prize to the best presentation design.